Which kind of pets you are interesting in ? 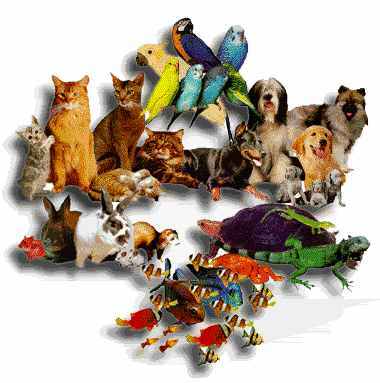 Its a group of (Pets Lovers) Dogs, Cats, Birds, Aquarium Fishes, Rabbits, Reptiles and Small animals Sharing us your Experience Stories, Troubles which faced you to can keep on your lovely pet happy. Welcome to Our Pets Lovers Group! (1St DISC...) Let`s Know your Favorite Pet and What do u have now ?! What do you do with Your Pets while you are on vacation? You need to be a member of Pets Lovers to add comments! I have 2 dogs, one is a 12 years old male Pomapoo and the other is a now ten months old female German Shephard Chow Mix. They are very good together. Sneakypete the older dog is slowly dying from heart disease and is training the young pup. She learning very well and in some insteadances better than Sneakypete. SusieQ is still very hyper at times. I have pictures of them in my photos.